I exported a project from 2.2.1 and imported it in 3.0. This seemed to work. The problem is - considering that the exporter is still 2.2.1 - the bugfix (Anomalie #134: XMI export bug) does not work. And actually I still have the same problem as reported before. in addition to my previous mail. 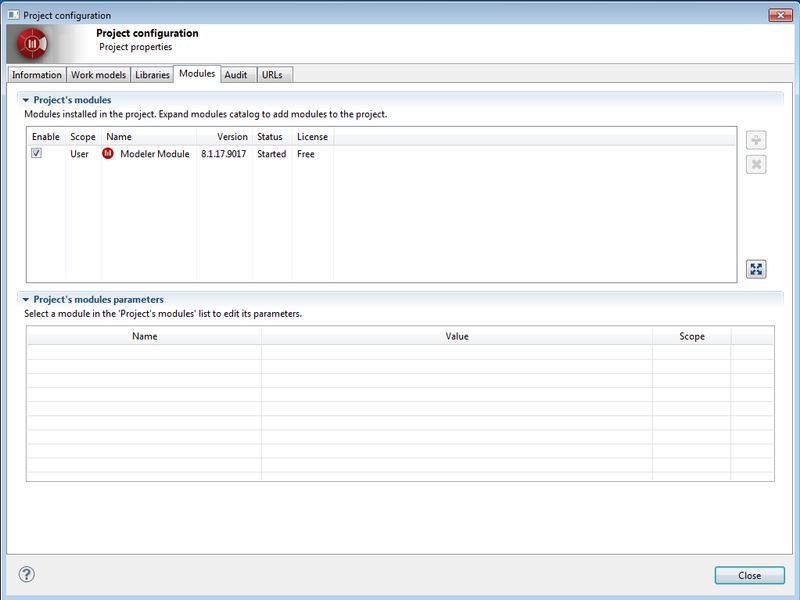 But the previously imported project is shows 2.2.x in the XMI export. Could you send us your imported project in 3.0.0!? strange, looks like the export is not working anymore. 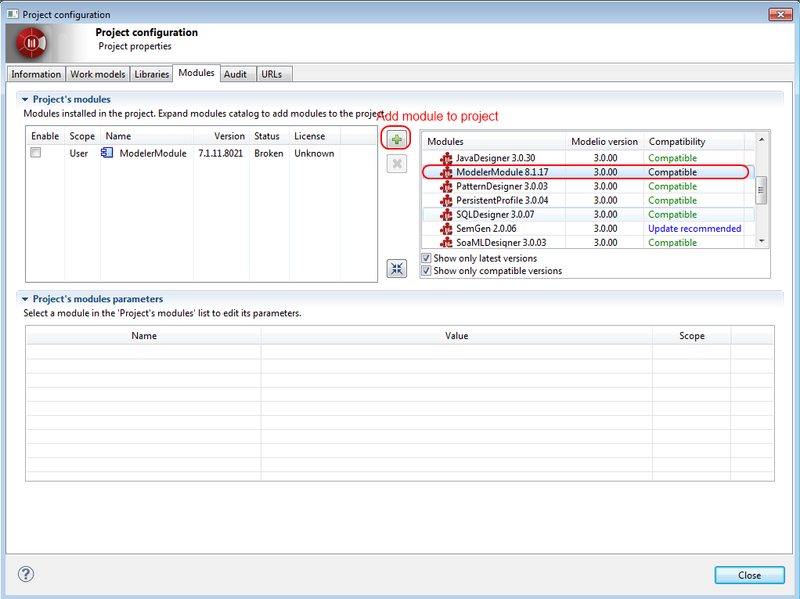 You have to add the latest version of ModelerModule to your project. 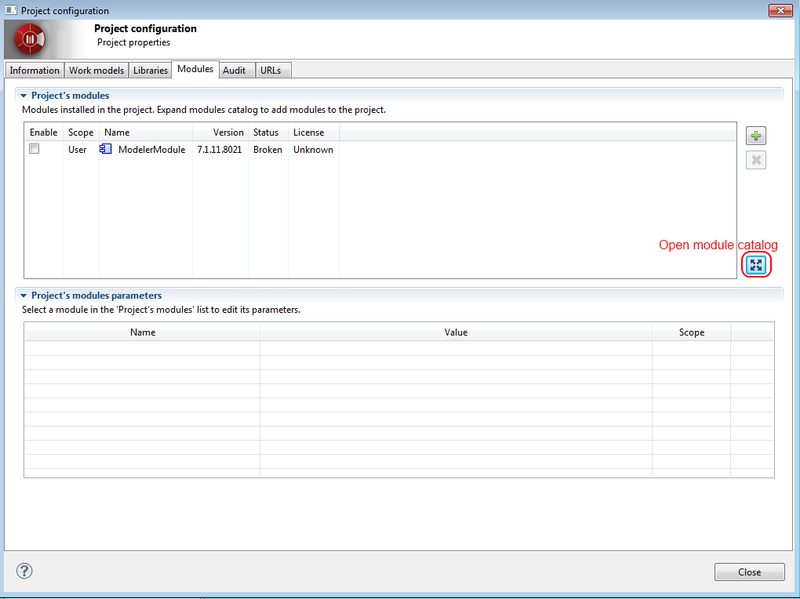 For this open the module catalog, select ModelerModule and add it to the project as depicted in the following screenshot. Hoping it solves your issue.